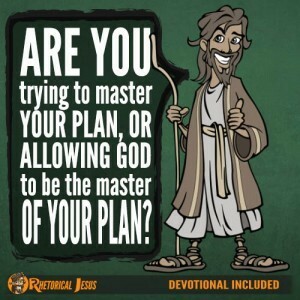 Peter just told Jesus that the disciples had left everything to follow Jesus (Mark 10:28). 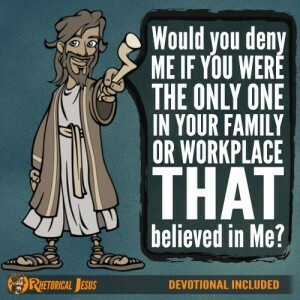 Jesus didn’t argue with them because they did leave all to follow Him. They left their fishing boats, their trade, their job security, their living, and their family to follow Jesus. 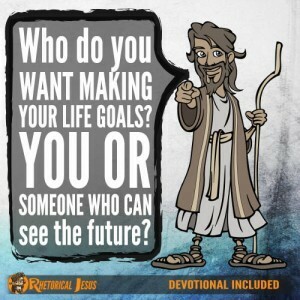 But He told the disciples that no one who leaves their family and fields (meaning their way to earn a living) will fail to receive a hundred times as much in the coming kingdom of God, and that includes eternal life (Mark 10:29-30). How can you put a price tag on eternal life? 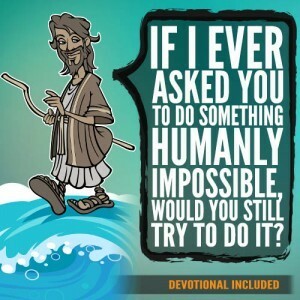 You simply cannot. The disciples also likely lost all of their friends, too, so they simply left everything to follow Jesus. 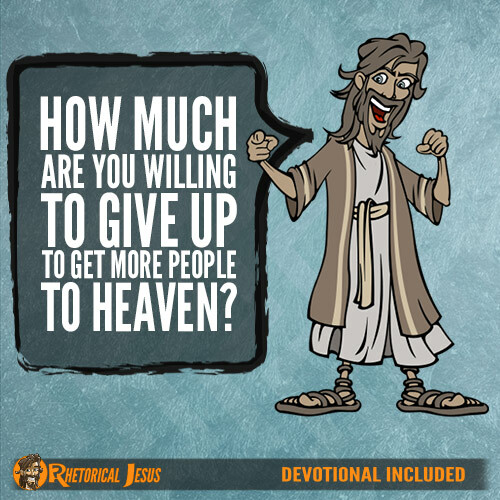 How much are we willing to give up to get more people to heaven? Good question, isn’t it? When Jesus bids us to also forsake all and follow Him, this means that we will also lose our life. That doesn’t mean that we’ll be persecuted unto death, although in much of the world that’s what happens. For us it might mean leaving behind our allegiance to the things we really love. What would that be for you? Would it mean you stop following some of your favorite sports teams if you were skipping Sunday services to do so? Would it mean, as it has for me, missing much of the sports on Saturdays or my favorite movies in order to go into my community and either go door to door or witness to people I meet on the streets? It is laying down our lives, our own interests, our own natural desires, and our own resting time for some? The Apostle John said that he knew what love really was; it was shown by Jesus willingly laying down His life for us. John says we also ought to be laying down our lives for others (1 John 3:16) in the church by serving them and for those who need to hear the Gospel of Jesus Christ. I buy my own Bible tracts, which I think is very important because I am sowing into the work of the Lord and it will reap eternal rewards someday. I know that God’s Word never returns void and will accomplish exactly what He sends it out to do (Isaiah 55:11). Paul said that he even expended himself for the Lord’s purposes and for the church (2 Cor. 12:15). Paul was a servant of Christ, and the Greek word for servant, “doulos,” means “a slave, bondman” and “a man of servitude.” So that’s how we should look at it. Paul says that we are technically not our own because Jesus purchased us by His own blood (1 Cor. 6:20; 1 Cor. 7:23), so we are now slaves of Christ. Like a slave, we have no rights to make ourselves happy but the Master, and our Master is Christ. Father God, thank You for sending Jesus to die for me by purchasing me by His own blood. Please show me new ways to reach those who don’t yet know Christ so that they might be saved, even if it means giving up what I have, and in Jesus’ name I pray.